The Urban Composter tamper is an essential tool for your countertop bokashi bin. It is used to remove the air trapped between food scraps when you add them into the bin, to help create the anaerobic (no oxygen) conditions for the Compost Acceleration to work its magic! 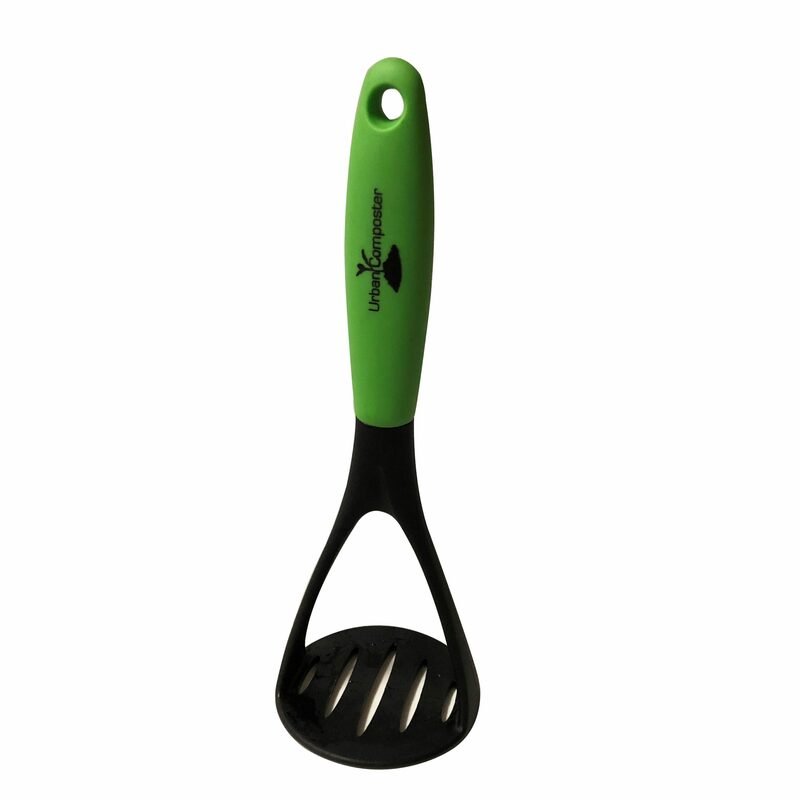 Most people prefer to have a tool dedicated to this purpose, rather than dirtying their potato masher with food waste, so the Urban Composter tamper is here to the rescue! Don’t forget to use it every time you add food waste to your Urban Composter to help the fermentation process.